NEORig facility in Conroe, north of Houston. 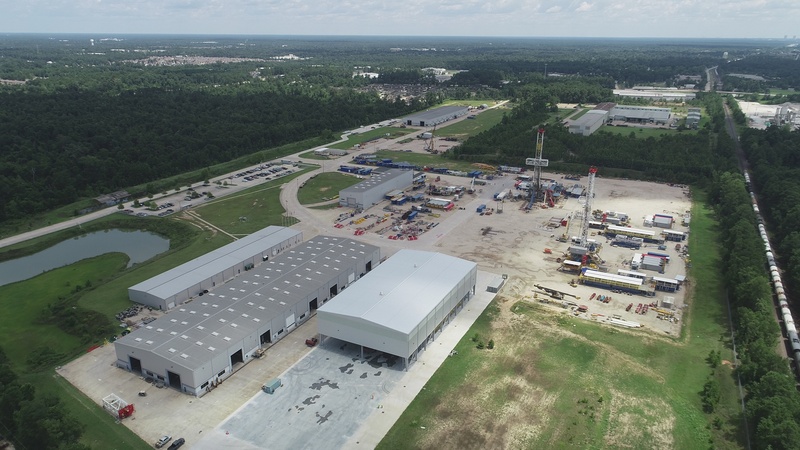 CONROE, Texas – (Realty News Report) – NEORig, a manufacturer of land drilling rigs and oilfield products, has added 57,024 SF of assembly space at its 80-acre Conroe Business Park campus located at 100 North FM 3083 East. The expansion by KDW, a Houston-based design/build firm, doubles NEORig’s assembly space, part of the company’s 250,000 SF of manufacturing, finishing and warehouse facilities. The NEORig campus also includes more than 500,000 SF of research and development space. The rig count of drilling rigs operating in the nation has increased significantly in the last two years. West Texas Intermediate crude traded at $68 a barrel Tuesday, a major increase over the sub-$30 a barrel oil in early 2016. Industrial construction is strong in the Houston area. “There is more than 12 million sq. ft. of new industrial construction underway throughout the city. This is double the amount compared to the second quarter of 2017,” according to the NAI Partners’ second quarter industrial report. In another recent project Conroe Business Park, KDW completed a 78,000-SF manufacturing and office facility for BAUER-Pileco.